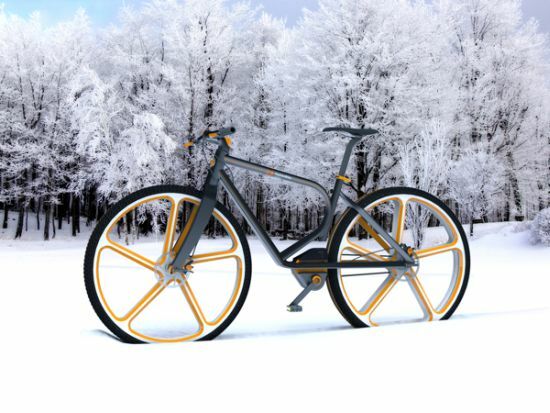 Remember Sneeuwketting bike that aimed to allow bikers to explore snow-covered terrains with ease; now, we have yet another concept bike that will assist you maintain similar grip on slippery roads. 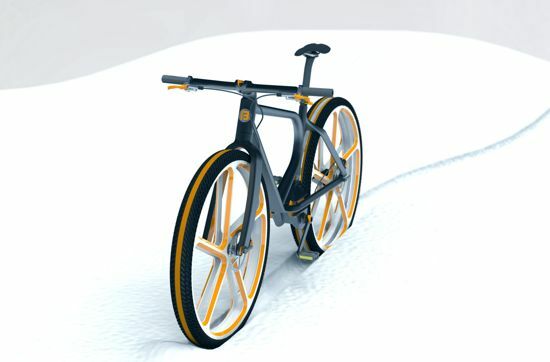 Dubbed as SnowBike, the concept bike is the brainchild of Vincent Guillaume, an industrial design intern at Faction Bike Studio. 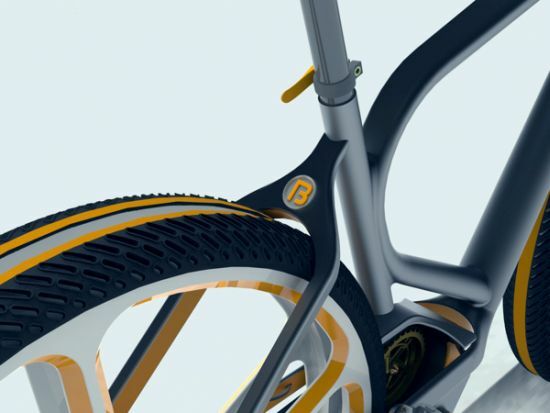 Aside from flaunting amazing design – an absolute necessity to attract customers in this highly professional world, the bike has some attractive features, which, we are sure, will tickle the fancies of any bike lover. 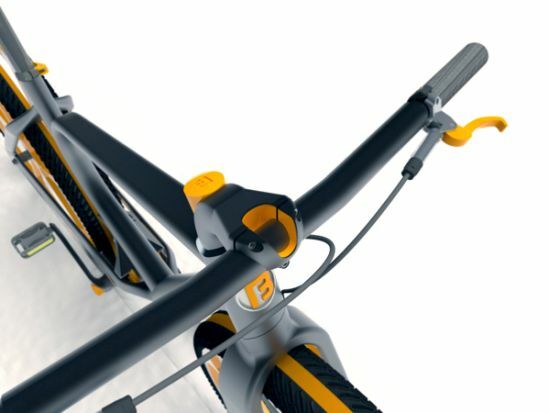 Featuring an internal gearbox, centralized belt drive, the bike is capable of gathering the required pace and that too, without asking the biker to exert too much effort. 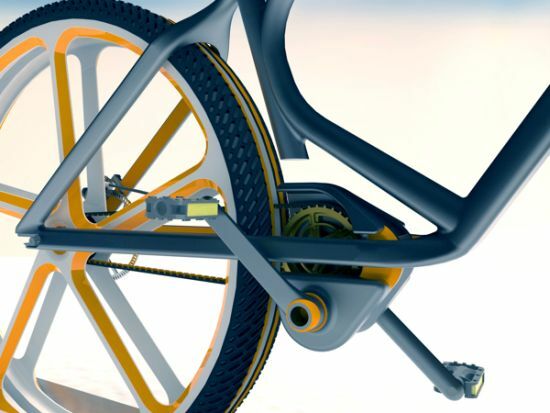 Moreover, the centralized belt drive straps itself through a split rear tire. 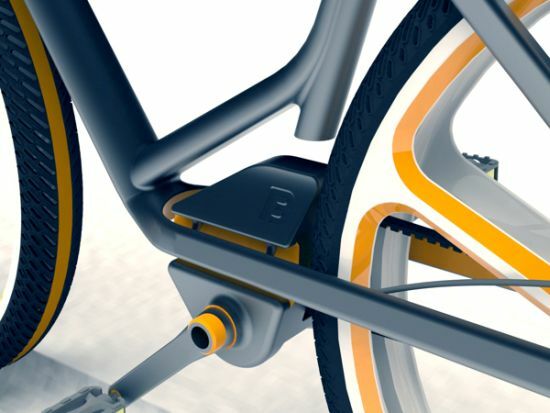 With its being a concept as of now, we definitely need to wait to see it hitting production lines anytime soon.